That shift leaves “greatest hits” compilations further and further out of favor. This is entirely understandable, of course: Why buy a compilation when you could just buy the one or two hits you want? Better yet, why not just stream “Dancing With Myself” and call it a day? It beats paying $8.99 to download Billy Idol’s Greatest Hits from Amazon (or $12.99 for the actual CD). And there’s something to be said for the music consumer taking the role of curator. In the new model of music consumption, the listener is completely in charge; he or she can create playlists with almost any track imaginable (which also means the mixtape is a long-lost art, but that’s a For Our Consideration for another time). Greatest hits albums sand away the artists’ quirks—Elton’s moody meditations are excised, Billy doesn’t seem as pugnaciously ambitious, Petty’s orneriness and abiding love of ’60s garage rock are diminished—but by focusing on the hits, they crystallize the essence of each star. Over time, those greatest hits albums—purchased as a package, repeated incessantly on the radio—formalized each act’s conventionally accepted canon and, in turn, cemented their enduring public personas. But Petty relented, and the album has since been so successful that it reached RIAA Diamond status last year, meaning it has sold 10 million copies in the 23 years since its release. Much of its success was due to the monster single “Mary Jane’s Last Dance,” one of the two new tracks on the record (the other being a solid cover of Thunderclap Newman’s “Something In The Air”). The song became one of the band’s biggest hits, reaching No. 1 on the Billboard Album Rock Tracks chart. It’s also a damn fine song. Produced by Rick Rubin, “Mary Jane’s Last Dance” is a no-frills, minor-key midtempo slow-burner about loss (which, with Petty’s typically wry delivery, is appealingly unsentimental). With its dry production, the song would sound right at home on Petty’s career-peak Wildflowers, which he and Rubin were recording at the time and came out the following year. 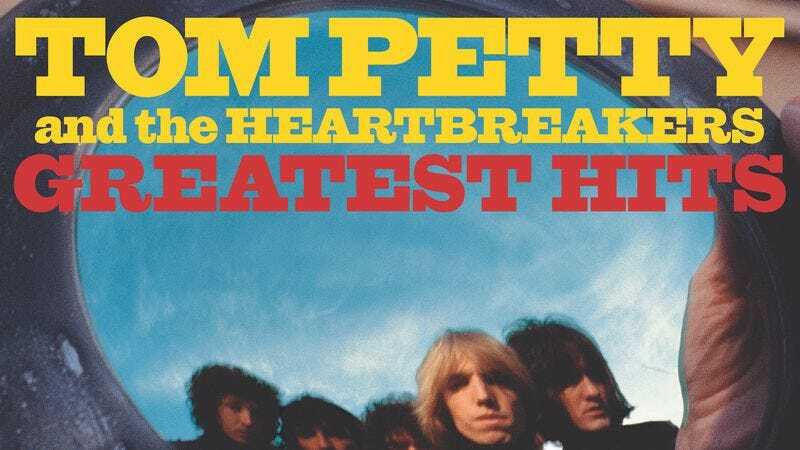 Preceding “Mary Jane” on Greatest Hits, of course, is a handful of hits by Tom Petty And The Heartbreakers. For those who never liked the band, the album won’t change any minds, but to the curious or casual fan, it remains an excellent representation of the band’s work, and of pop-rock at its finest. Despite changes in sound—from his early urgent rock songs to his buffed-to-a-sheen work with Jeff Lynne to his current, back-to-basics approach—Petty has been a staggeringly consistent songwriter and performer since his 1976 debut. His post-2000 work has been spotty at best, but in 1993, Petty and his band were a long-running pop act ready for the canon status that a greatest hits record provided. The restless double-octave guitar lick that starts “American Girl” is the beginning of Greatest Hits, and it gives the album an undeniable energy that continues through the gorgeous “Here Comes My Girl,” the aching “The Waiting,” and even the dopey “Don’t Do Me Like That.” By the time the Lynne era arrives with “Free Fallin’” and “Into The Great Wide Open,” the urgency has waned, but the craftsmanship hasn’t. The collection proves that Petty’s attention to melody and a wryly concise turn of phrase makes him a continually underrated companion to fellow American cultural commentators like Bruce Springsteen and Randy Newman. Tom Petty, now a humble and grumpy elder statesman, probably wouldn’t cop to that description, but he’d probably like this one just fine: His greatest hits album is as satisfying an introduction to rock ’n’ roll as you’re likely to get. And that’s what these albums are for, however long they’re going to be around.